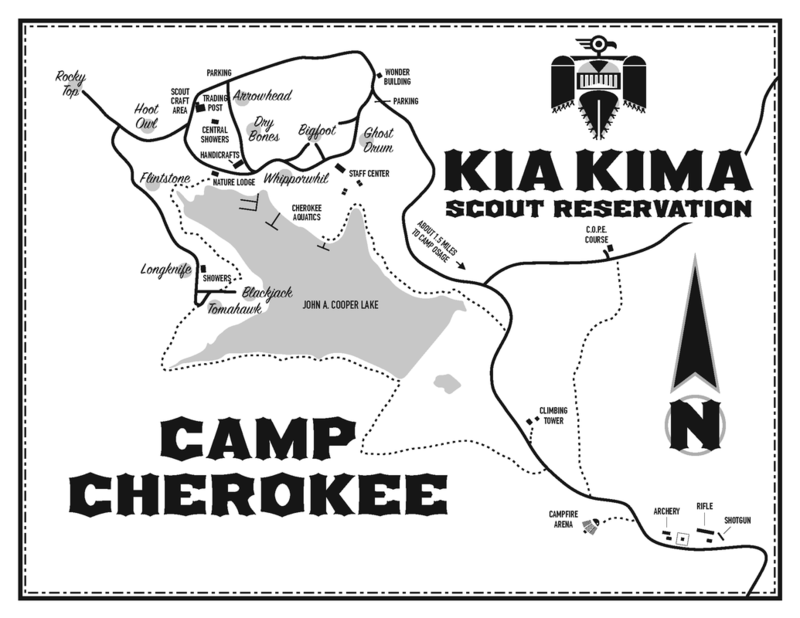 Situated on John A. Cooper Lake, Camp Cherokee was established in 1965 as an “outpost camp”. While it is no longer an outpost camp, it does have some unique offerings. All troops that camp in Cherokee retrieve their meals from the centralized commissary. Units then prepare their food in their campsites while a few staff member come to eat with the unit. Meal information is provided in advance so units may bring additional recipes and condiments to supplement their meals. Cherokee still provides the same great traditional programs as Camp Osage, but in a smaller setting! Prepare Food in our campsite?